The Plastics - Simpson Style. Alex, Allison and Janie in their teen years. mais here::. 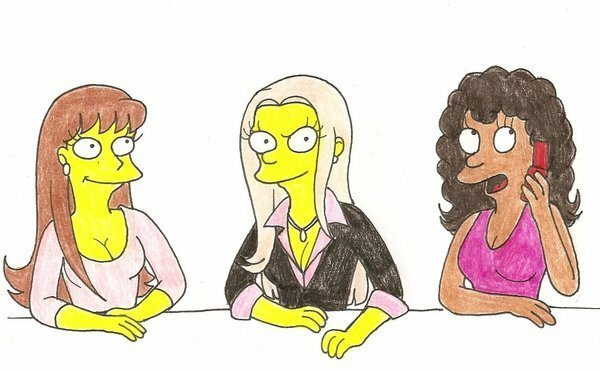 Wallpaper and background images in the os simpsons club tagged: the simpsons allison alex janie grown up fan art springfield school.